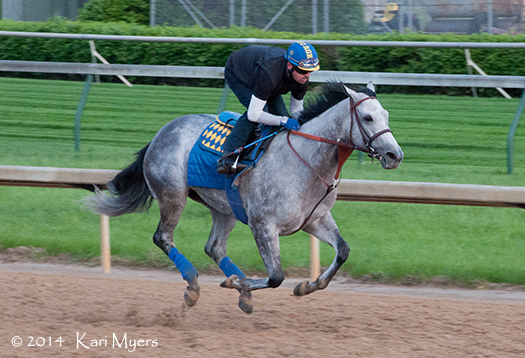 May 1, 2014: Midnight Lucky out for a gallop at Churchill Downs. Midnight Lucky looked great at Churchill Downs in the week leading up to her start in the Grade 1 Humana Distaff on May 3, but I wasn’t sure what sort of performance she would put in after a one-year layoff. She certainly answered any questions I might have had, because she beat a nice group of fillies and mares by 4 1/2 lengths. Love this filly! 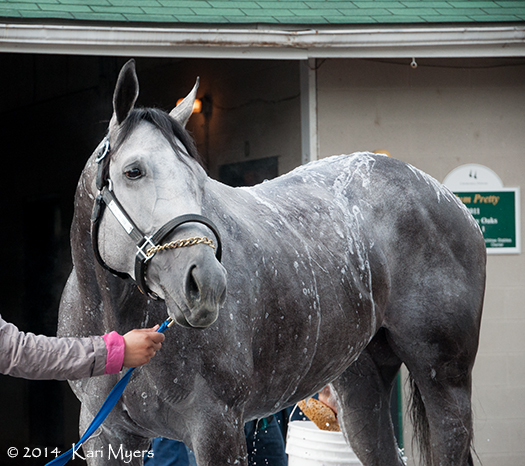 Apr 30, 2014: Midnight Lucky schooling in the paddock. 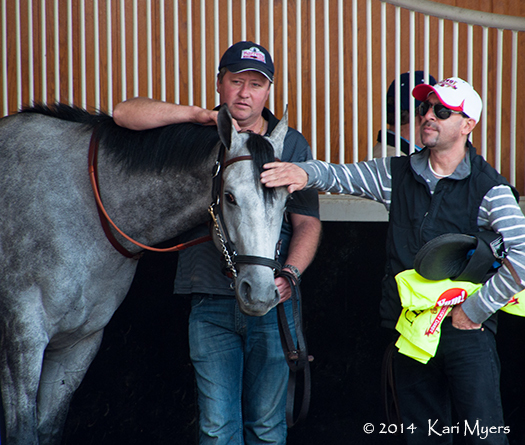 Apr 30, 2014: Midnight Lucky gets some love from Baffert’s team. She was so incredibly relaxed that nothing seemed to phase her. Apr 29, 2014: Midnight Lucky gets a morning bath. Midnight Lute made quite a splash as a stallion this year when several of his first crop made it to the spring classics. 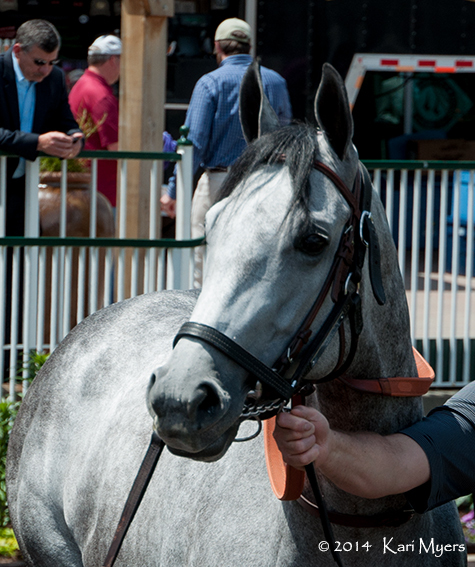 His daughter Midnight Lucky ran in the Kentucky Oaks and just won the Grade 1 Acorn on Memorial Day. Mylute was fifth in the Kentucky Derby, giving Rosie Napravnik the best finish for a female rider in the history of that race, and the pair went on to run third in the Preakness. Govenor Charlie also ran in the Preakness for Bob Baffert. 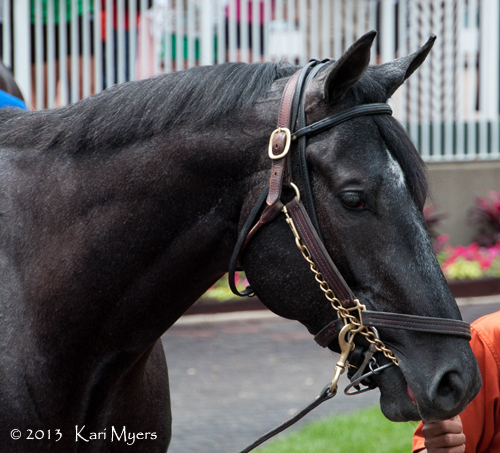 May 2, 2013: The insanely handsome Mylute schools in the Churchill Downs paddock. 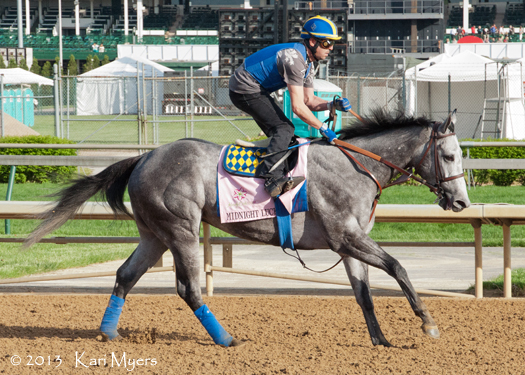 May 2, 2013: Midnight Lucky gallops at Churchill Downs in preparation for her run in the Kentucky Oaks. 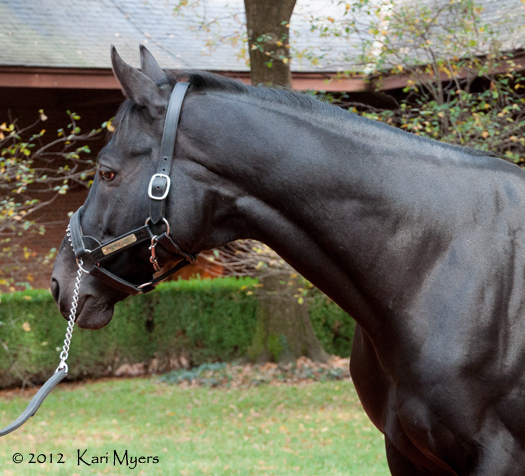 November 5, 2012: Midnight Lute himself at Hill ‘n’ Dale farm, refusing to smile for the camera.